Israel's Yad Vashem Holocaust memorial says researchers excavating the remains of one of the most notorious Nazi death camps have uncovered a pendant that appears identical to one belonging to Anne Frank. Yad Vashem says Sunday it has ascertained the pendant belonged to Karoline Cohn — a Jewish girl who perished at Sobibor and may have known the famous diarist. Like Frank, Cohn was born in Frankfurt in 1929. Researchers are trying to confirm whether they were related. The Israel Antiquities Authority has been conducting excavations at the former camp in Poland since 2007 and has already uncovered the gas chamber foundations and the original train platform. More than 250,000 Jews were killed in Sobibor, one of the most vivid examples of the Nazi "Final Solution" to eradicate European Jewry. Israel’s Yad Vashem Holocaust memorial says researchers excavating the remains of one of the most notorious Nazi death camps have uncovered a pendant that appears identical to one belonging to Anne Frank. Yad Vashem says Sunday it has ascertained the pendant belonged to Karoline Cohn - a Jewish girl who perished at Sobibor and may have known the famous diarist. Like Frank, Cohn was born in Frankfurt in 1929. Researchers are trying to confirm whether they were related. One side of the pendant reads 3.7.29 -- Karoline Cohn’s date of birth -- and the word “Mazel tov.” The other side features a Hebrew letter for God’s name and three Stars of David. More than 250,000 Jews were killed in Sobibor. The pendant was found along what is called the “Pathway to Heaven,” the area of the camp where Jews were forced to walk to the gas chamber, according to the Yad Vashem Museum’s website. A pendant unearthed at one of the most infamous Nazi death camps may hold a connection to Anne Frank, researchers say. The triangular pendant was discovered by researchers excavating the remains of the Sobibór death camp in Poland, and appears identical to one that belonged to Anne Frank, said officials at Israel's Yad Vashem Holocaust memorial on Sunday. On one side of the pendant are the words "Mazal Tov" written in Hebrew, along with the date of birth of its owner. The other side features the Hebrew letter "heh," an initial for God, and three Stars of David. Its owner has been identified as Karoline Cohn, a Jewish girl who is thought to have been killed at Sobibór. The similar backgrounds of Ms. Cohn and Ms. Frank – both were born in Frankfurt in 1929 – has prompted questions about the possible relationship between the young women, and researchers say they are trying to contact living relatives to find out if the two were related. But even without the pendant's potential connection to the famous diarist, historians say, such discoveries contribute valuable insights into the lives of those who perished during the Holocaust. "This pendant demonstrates once again the importance of archaeological research of former Nazi death camp sites," said Israel Antiquities Authority archaeologist Yoram Haimi in a statement, as reported by The Times of Israel. "The moving story of Karoline Cohn is symbolic of the shared fate of the Jews murdered in the camp. It is important to tell the story, so that we never forget." More than 250,000 Jews were killed in Sobibór, where victims were typically sent to gas chambers shortly after their arrival. Since 2007, the Israel Antiquities Authority and Yad Vashem have worked together to conduct excavations at the former camp, located in eastern Poland, in an effort to learn more about Holocaust history. The camp was destroyed in the early 1940s, when Nazis leveled it and planted over it to cover up their crimes, but archeologists have since uncovered the gas chamber foundations and original train platform. "These recent findings from the excavations at Sobibór constitute an important contribution to the documentation and commemoration of the Holocaust, and help us to better understand what happened at Sobibór, both in terms of the camp's function and also from the point of view of the victims," Havi Dreifuss, of Yad Vashem's International Institute for Holocaust Research, told the Associated Press. The exact fate of Karoline Cohn is unknown, researchers say. She was deported to the Minsk ghetto on November 11, 1941, where she may have died. The pendant is thought to have arrived at Sobibór – with or without Cohn – sometime between November 1941 and September 1943, when the ghetto was shut down and 2,000 Jewish prisoners inside were sent to their deaths, The Times of Israel reports. It was likely dropped by Cohn, or whoever possessed it at the time, on the "Pathway to Heaven," the path that victims were forced to walk to the gas chambers. More than 70 years after the end of World War II, researchers continue to make new discoveries about the lives of Holocaust victims, putting a human face to the horrifying statistics. Just last month, a new report suggested that, contrary to the popular narrative, the raid of the secret Amsterdam annex where Anne Frank hid may not have been the result of betrayal. And in June, 16,000 personal items thought to have belonged to Jews murdered at the Auschwitz concentration camp were recovered after decades of being stored in cardboard boxes at the Polish Academy of Sciences in Warsaw. "The objects found during the works are not only a remarkable testimony to the history of the camp and the extermination conducted by the Germans, but also a moving personal testimony of the victims," said the Auschwitz Museum in a statement at the time. "In most cases, these are the last personal belongings of the Jews led to death in the gas chambers upon selection at the ramp." 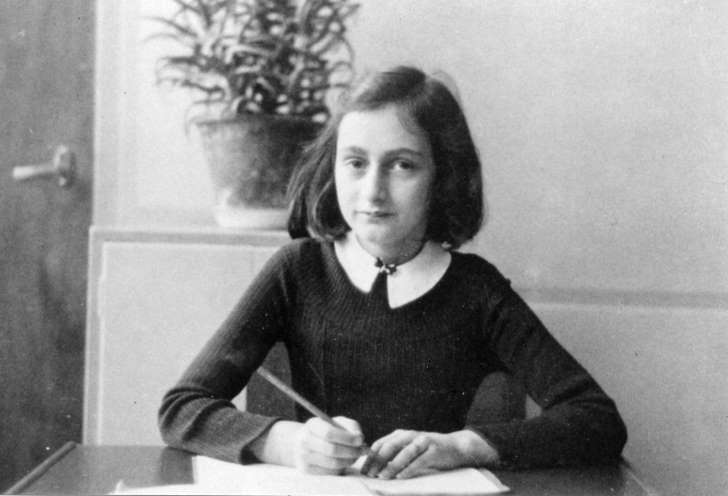 0 Response to "Israel says Nazi camp excavations unearth link to Anne Frank"